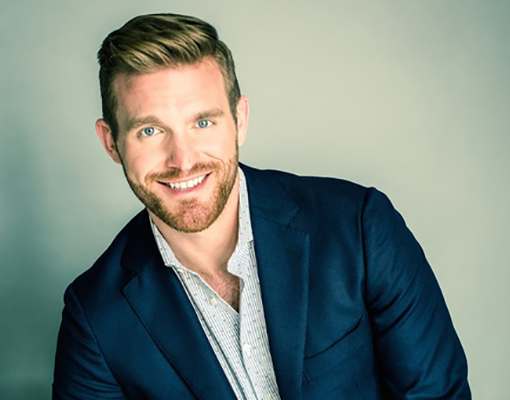 American baritone Jarrett Ott, who was named one of Opera News’ twenty-five “Rising Stars,” and called, “devilishly-handsome and full of bravado” by KC Metropolis, will make many important European role debuts as he embarks on his first season in the Ensemble of the Staatstheater Stuttgart for the 2018-19 season. New production debuts include Oreste in Iphigénie en Tauride and Chou En-lai in Nixon in China. Other European role debuts in Stuttgart include Figaro in Il barbiere di Siviglia, Marcello in La Bohème and Dandini in La Cenerentola, In North America, he will return to Santa Fe Opera for Guglielmo in Così fan tutte, a role debut, and the title role in David Lang’s world-premiere prisoner of the state with Jaap van Zweden at the New York Philharmonic. In the 2017-18 season, Jarrett Ott debuted the role of Papageno in Die Zauberflöte with Opera Philadelphia as part of their inaugural O17 festival, Figaro in Il Barbiere di Siviglia with Lyric Opera Kansas City and Dayton Opera, Jupiter in Offenbach’s Orpheus in the Underworld with New Orleans Opera, and at Santa Fe Opera, Harlekin and Maximilian in Ariadne auf Naxos and Candide, respectively. Important concert debuts included Carmina Burana with Seattle Symphony, Brahms’ Requiem with Columbus Symphony and Stanford’s Songs of the Fleet with the New York Choral Society at Carnegie Hall. In the 2016-17 season, Mr. Ott made his major European opera debut at Deutsche Oper Berlin singing the role of the Angel in Andrea Scartazzini’s world premiere work Edward II, directed by Christof Loy, and embarked on a European tour with Perm Opera and MusicAeterna as Don Pedro de Alvorado in a concert version of Purcell’s Indian Queen, with stops in Geneva, Köln, Bremen and Dortmund. In North America, Mr. Ott made three important role debuts: as Curly in Oklahoma! with Glimmerglass Festival, Zurga in The Pearl Fishers with North Carolina Opera and Charlie in Jake Heggie’s Three Decembers with Opera Memphis. Concert engagements included debuts with Colorado Springs Philharmonic in Carmina Burana, a holiday concert with the Lexington Philharmonic and The Hyland Mass, a world-premiere with the New York Choral Society at St. Patrick’s Cathedral. Recent seasons for Jarrett Ott included a lead, main stage debut as W.P. Inman in the East Coast premiere of Cold Mountain with Opera Philadelphia as well as the Marchese d’Obigny in La Traviata. He made his European concert debut with the Ensemble Intercontemporain in Paris, performing pieces by Vito Zuraj and Bach, conducted by Matthias Pintscher. Other role debuts included The Count in Strauss’ Capriccio, a co-production with Opera Philadelphia and Curtis Opera Theatre, Masetto in Don Giovanni with The Santa Fe Opera, as well as the Center for Contemporary Opera in Kenneth Fuchs’ Falling Man at Symphony Space in New York City. On the concert stage, he presented several recitals in North America under the auspices of The Brooklyn Art Song Society and appeared as a soloist in Handel’s Israel in Egypt with the New York Choral Society at Carnegie Hall. In 2016, Jarrett received third-place in the Zachary Competition finals, held in Los Angeles. He has also been a competition finalist in the George London Foundation and a semi-finalist in the McCammon Voice Competition. He is a Third Prize winner of the Gerda Lissner Foundation Competition and received a grant from The Licia Albanese-Puccini Foundation. Most recently, he was granted a Career Development Award from the Sullivan Foundation. ..the standout was Jarrett Ott as Curly, the lovesick cowboy in Rodgers and Hammerstein’s “Oklahoma!”His very first line, “There’s a bright golden haze on the meadow,” sung from the back of the house, revealed a free, mellifluous baritone, full of life and sunshine, and it never flagged. A confident actor who is also very handsome, Mr. Ott will go far.